Right to education resource center (RTERC) of Indian Institute of Management (IIM) Ahmedabad is set to host the 4th edition of its annual flagship event, Winter School on December 15-18, 2017. Ahmedabad: Right to education resource center (RTERC) of Indian Institute of Management (IIM) Ahmedabad is set to host the 4th edition of its annual flagship event, Winter School on December 15-18, 2017. The program aims to orient participants towards public policy and social change. The idea of the Winter School is to create a platform for individuals to understand and challenge the dominant ideas about education and to put to test the power structures that exist in our society. The co-created space seeks to spur discussion on themes like importance of community knowledge, social work vs social change, engendering of education, social policy &amp; practice, participatory research, and political-cultural dynamics around education. 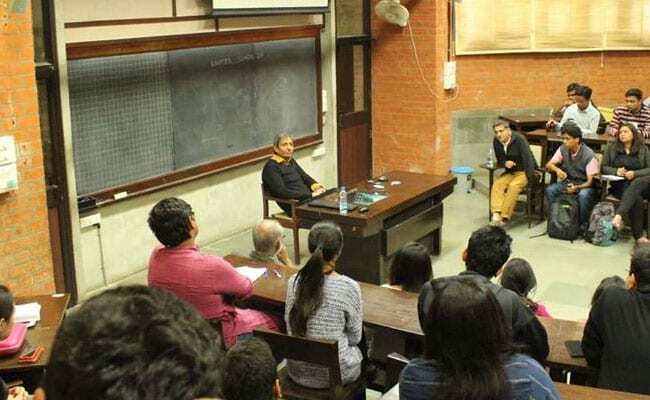 Participants of Winter School go through an orientation Programme for four days on IIMA Campus. Esteemed professors of the Institute and various other dignitaries from all over India take orientation classes for the participants. The purpose of the orientation programme is to give the participants a basic set of tools for understanding the social equations surrounding them. Last year's Winter School witnessed lectures from Prof. Ankur Sarin, Prof. Anish Sugathan, Prof. Rajeev Sharma and Prof. Kathan Shukla. Post the orientation programme, participants will pick a policy of their choice and do a practicum at a place of their choice. The practicum would ideally take ten days. Participants are expected to send a report to the RTERC, detailing the work they have done to earn a certificate from IIMA. Previous participants' works included - Capacity building of School Management Committees (SMCs) in Delhi State Government Schools, Night schools in Mumbai, etc. "Winter school has been a shift in perspective. I had applied and gone with a mind set to receive heaps of theories, facts and case studies on various policy issues. All this surely was a part of the content. But in the true sense the essence of winter school was activities, sessions, conversations, people and experienced of shift in perspective," Sanchi Chandna wrote describing her Winter school experience. Ankit Yadav, Coordinator for RTERC, IIMA commented that "Over 80 individuals actively participated in the last edition of the event. The Winter School has been receiving overwhelming participation from all corners of India." Prof. Ankur Sarin, Professor of Public Systems Group and Faculty coordinator - RTERC at IIMA, quoted, "As part of a larger action research effort, the Winter School brings in participants from across India and is an important student initiative to understand public policy from the perspective of excluded and marginalized groups." The deadline to apply to the Programme has been extended to 12 November, and more details can be found on the center's Facebook page. For more info, visit RTERC's Facebook page: https://www.facebook.com/IIMA.RTERC/.